IPL on Mobile has been on a winning run in the last 12 days with 7,00,000 IPL videos being watched by users on their GSM and CDMA mobile phones through the power of Mobile Internet (GPRS/EDGE/3G), this number is growing at a rapid rate each day.This translates into just over 2000 hours of videos downloaded and viewed by users on their mobile phone. The simplicity of accessing this free service has made it extremely popular, with users dialing in from towns and cities all across India , from Jammu to Thiruvananthapuram. By simply dialing the MIX toll free number 08 123 123 123 from the mobile users across India can now watch their favourite teams slug it out in the IPL. Alternately, users can access m.iplt20.com on their mobile. 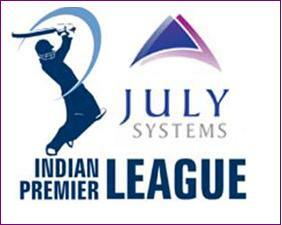 July Systems introduced its exclusive IPL on mobile service on the on March 12, 2010. Through this service, launched on July Systems’s MIX platform, cricket-fans nationwide and beyond, now enjoy live ball-by-ball updates, action replays, video scorecards, cheerleader videos, and many more exciting features . Majority of the users access the IPL on basic GPRS mobile phones and there is a clear leader when it comes to choice of phones being used to watch the IPL; with Nokia accounting for 65%, followed by Samsung, LG, BlackBerry and Sony Ericsson accounting for 30%. By delivering the IPL across all telecom operators and on more than 6,852 different web enabled (GPRS enabled) handsets, including those that do not have multimedia and video capabilities. IPL on MIX is now available to a dramatically larger demographic, who may not be able to afford a Television set or cable TV, but have all come to depend on their mobile phones. If you are not using any GPRS card then you have to pay only the access charge,that is 10p/10kb…otherwise there is no monthly rental..call 08 123 123 123 to get access address in your GPRS enable phone.